Following these guidelines will help make your heat treatment experience a good one. 1. Always feel free to call us for advice before ordering material and starting the job. 2. Choose a material that can be flame or induction hardened. The material must contain enough carbon (more than 0.3%) to form a hard structure when heated and quenched. Common steels which may be induction hardened are: K1045, 4140, 4340, K245, EN25, EN26, 400 series SS and SG iron. 3. Specify a hardness that meets the “fitness for purpose” test rather than the maximum hardness obtainable for that material. The higher the hardness the greater the risk of distortion and cracking. 4. Where possible do not drill holes in the heat affected zone. 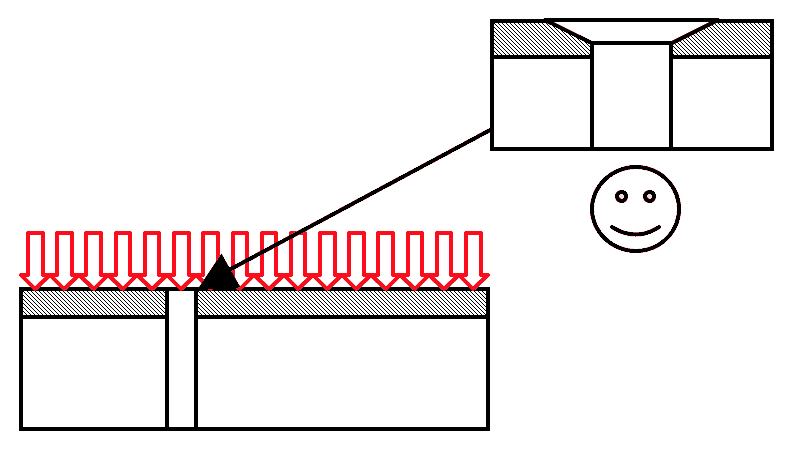 Heat will flow into holes or thin sections and increase the risk of cracking. 5. 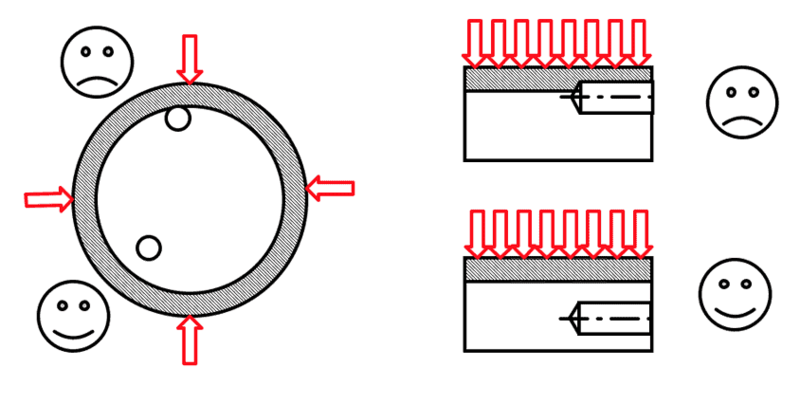 When holes are needed in the HAZ, for example lubrication holes, a chamfer will help reduce the risk of crack propagation from a sharp or ragged edge. 6. Centre pins both ends as these are hardened between centres. We can do this if you don’t but it takes time and you will be charged for this service. 7. If you have urgent jobs please give us notice in advance. We normally turn jobs around in 2-3 days but can improve on this if jobs are urgent. There may be a breakdown surcharge if we have to break into a run and do a special setup but we will make every effort to meet your requirements without extra charges. For heavy items always use hardwood pallets or strong softwood crates. Use 19mm steel banding (this is our standard and we can reuse it). Pack items in returnable containers or packaging. We return items in your packaging so make sure it is up to the task. If we cannot reuse your pallet or packaging we may charge you for supplying a replacement. Use hex-head roofing screws rather than nails or counter sunk Phillips head screws on box lids – they are easier to remove and re-use and boxes last longer. For OH&S reasons do not supply items in 44gallon (200 litre) drums. Small crates and tote boxes should weigh less than 30kg. If more put them on a skid or pallet. Use separators or specially designed containers to prevent metal-to-metal contact and damage during transport. 9. We will arrange transport or call you when your job is complete. However feel free to call us anytime for an update on how your job is going.